Google Chrome is such an amazing browser, primarily because of its ability to be personalized for each individual using it with different apps and extensions. 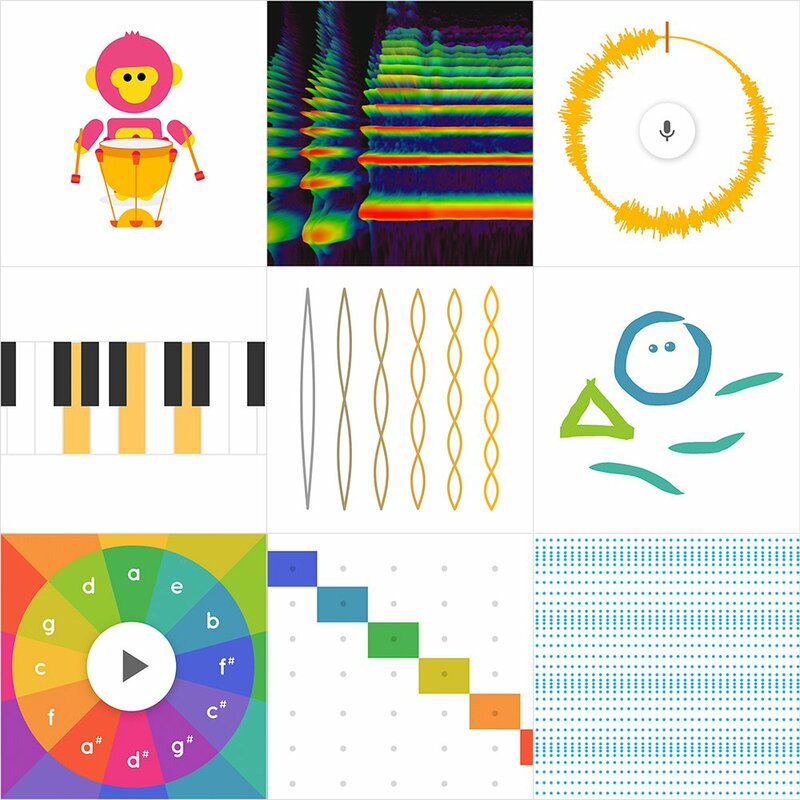 And now Google has come out with yet another amazing resource developed for Music in Our Schools Month: the Chrome Music Lab. Now, before you stop reading because you are not the music teacher on campus or because you don’t think you are musical, please wait. The Music Lab is for everyone, and especially for your students, regardless of what you teach. This free resource features a series of experiments that let anyone, at any age, explore how music works. Designed by musicians and coders (what a fun conversation that must have been! ), the site is designed to help you learn, understand, and have fun with rhythm, chords, arpeggios, sound waves, harmonics, and more. I started playing around with the Music Lab and must confess that I soon lost all track of time; it’s just so much fun! I was able to create amazing (at least to me) pieces of music, experiment with sound waves, interact with major and minor chords, program a drumming monkey, and so much more. No directions were required, although they are available for each experiment; I just had to be willing to wade in and try. The Chrome Music Lab would make a great center in an elementary classroom or work well in a makerspace at a high school library. Innovative teachers will be able to create engaging, interactive lessons around the science of sound, how tone in music can be compared to tone in writing, the natural mathematical relationship between a string’s length and its pitch, and how the speed at which we speak impacts what others hear. Because the site is so open ended, there is really no limit to what students will be able to learn. I would encourage you to put students in pairs and assign each pair one of the experiments. Ask them to play with it and become an “expert” in it. Then have them share what they’ve learned with others. And then turn them lose to experience the joy of music. What will your students create today?